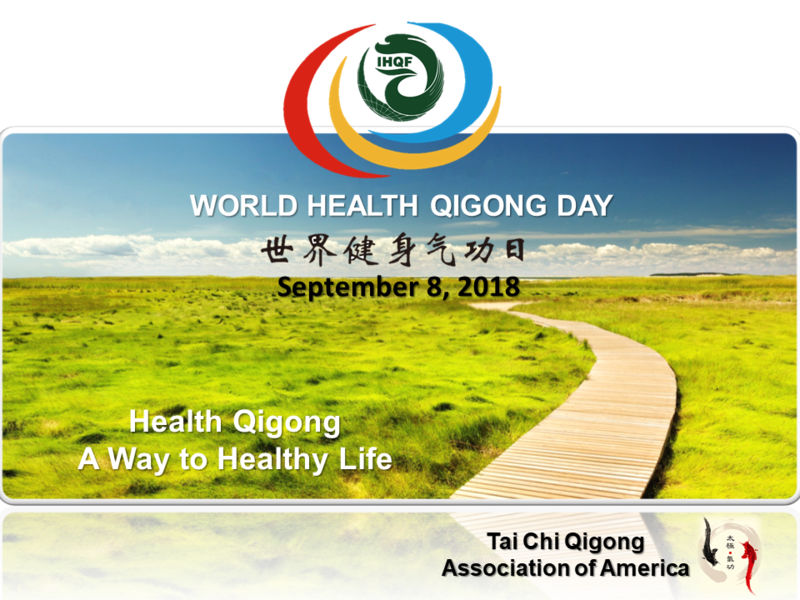 The 2nd World Health Qigong Day (WHQGD) is on September 8, 2018. WHQGD is a day of celebration with Health Qigong enthusiasts worldwide. This year’s theme is Health Qigong – a way to a healthy life. Our organization will hold WHQGD events at two locations: Syosset, Long Island, New York and Blaine, Washington. The event program includes demonstrations, Health Qigong trivia, Duan examinations, and seminars. The International Health Qigong Federation has authorized our organization to administrate Level 1-3 Duan examinations. For participants who are interested in taking Duan examination, you must register before August 31, 2018. Please contact our office for more information. All are welcome to join us in celebrating the WHQGD on September 8, 2018!